In today’s cosmetic and dental industry, there are a few available options to replace missing and damaged teeth among adults. One of the available options is called removable dentures. 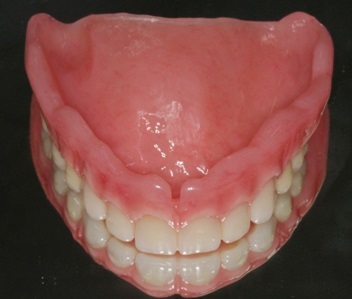 Presently, there only 2 kinds of dentures, and these are complete and partial dentures. Complete dentures is primarily used to replace an entire set of missing teeth, whereas a set of partial dentures are the dentures of choice to provide a good replacement for few gaps made by broken or missing teeth. Removable partial dentures are used primarily by patients who are missing few teeth and wish to replace the missing teeth for functional or aesthetic reasons. They provide an alternative option for replacement of missing teeth in patients who are unable or unwilling to receive a fixed restoration such as dental implant or fixed bridge. Partial removable dentures require the surrounding teeth and gums to be healthy and strong to provide anchorage and support. It is imperative that the surrounding gums and oral tissues are healthy, therefore an excellent practice of oral hygiene is a must when you have dentures. Dentures are removable, they can be removed after meals for cleaning and before bedtime. Bear in mind that there are disadvantages associated with having dentures, such as higher risk of getting tooth decay and gum disease, bone loss which occur after tooth extraction will also continue in the presence of dentures. It is strongly advised to remove your dentures before going to bed, and to clean them thoroughly after meals. Complete dentures have two available types. These are conventional and immediate types. Immediate dentures are used to immediately replace an extracted tooth, the best thing about immediate dentures is that you won’t have to wait for long without teeth because you will be fitted with it immediately. As the bone and gum tissues that are involved with tooth extraction heals completely within the next three months, they usually shrink leaving a gap under the denture, therefore immediate dentures needs to be relined or remade once healing is complete. Conventional dentures are made to replace existing dentures or for the first time without the need for tooth extraction. They used to replace all of the teeth in one or both arches to restore function and aesthetics. May patients are able to tolerate and function well with dentures especially the top maxillary dentures. The advantages of dentures are, they are cost efficient, easy to maintain and look great if made well. Dentures need regular maintenance and relines to ensure proper fit on the gums and proper occlusion of the teeth. The denture teeth will wear and stain with time leaving the bite too low, replacement of the teeth or making new dentures usually solve this issue. Unfortunately with dentures the underlying bone continue to resorb under the dentures, unlike with implants which maintains the bone. For patients who do not wish to wear dentures and would like to have a fixed replacement option for the missing teeth, here at Sydney Cosmetic Specialist we offer dental implant treatment such as (All on 4 or All on 6) to completely get rid of the denture. Dental implants could also be used to improve the retention and support of existing dentures. Are there other alternatives to dentures that I can use? Dental implants would be a better choice if you don’t prefer dentures at all. They can be used for anchorage of the dentures especially because they are removable. Full fixed dental bridges on the other hand can be a good replacement for dentures. Dental implants are more costly compared to dentures or bridges, but the latter can be a good alternative to dentures too. Not everyone can be fitted with dentures, dental implants, or bridges. Everything depends on the individuals personal condition. How will I know the best treatment that suits me best? Call us at Sydney Cosmetic Specialists. We will then schedule your initial consultation and we will also give you a walkthrough on all our offered services led by our head cosmetic dental practitioner, Dr. Potres.